– Being found on, entering or leaving a drug premises. If you are found on known drug premises, you can be arrested and charged with a criminal offence unless you can demonstrate that you had a legitimate, non-related reason for being on the premises. -Allowing use of premises as a drug premises. If you are the owner or occupier of a property, and knowingly allow it to be used as a drug premises, you can be charged with a criminal offence. – Organising drug premises. This offence is used when someone allegedly organises or conducts a drug premises. Activities can include acting as a guard, or keeping watch, as well as the day-to-day running of the premises. 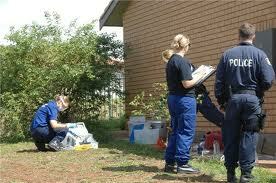 When you are dealing with drug premises offences, the premises involved needs to fulfil a number of criteria. If it can’t legitimately be classed as a drug premises, you can’t be charged with an offence of this type. If you have been charged with a drug premises offence and believe that the charges are unjustified, you can plead not guilty and the matter will be dealt with in court. You will need to provide a defence or show the weaknesses in the prosecution’s case to be successful. There are a number of defences against drug premises charges. If you can provide evidence that the premises involved doesn’t fit the criteria of being a drug premises, you may be able to use this as a defence. If you are charged with being found on drug premises, the most common defence is satisfying the court that you were on, leaving or entering the premises for a legitimate reason. This can be to drop off or pick up something not drug-related, or to visit a friend or family member who was at the premises at the time. If you are charged with allowing use of a premises as a drug premises, some of the defences include not knowing and being genuinely mistaken as to how the premises was being used. Pleading guilty to drug premises charges can help you show that you have accepted responsibility for your actions, and may help encourage the judge to give you a more lenient sentence. Pleading guilty can also increase your chances of getting a section 10 dismissal or conditional release order for this offence, and avoiding a conviction altogether. – Being found on, entering or leaving drug premises: 12 months’ imprisonment and/or a fine of $550,000 for a first offence. Five years’ imprisonment and/or a $55,000 fine for a second or subsequent offence. – Allowing the use of premises as drug premises and organising drug premises: 12 months’ imprisonment and/or a fine of $550,000 for a first offence, five years’ imprisonment and/or a $55,000 fine for a second or subsequent offence. If a child is exposed to drugs, the drug process or drug paraphernalia, and the child’s health or safety is endangered, the maximum penalties increase. In this case, the penalties increase to 14 months’ imprisonment and/or a $6,600 fine for a first offence, and six years and/or a $66,000 fine for a second or subsequent offence. Drug premises charges also come with a range of other penalties, including good behaviour bonds, community service orders, suspended sentences, intensive correction orders, and home detention. If you have been charged with a drug premises offence, make sure you seek experienced legal advice and representation. An experienced criminal lawyer can help ensure the best possible outcome for your drug premises charge. Being charged with a drug premises offence can be a stressful and nerve-racking experience.<br. But when it comes to your freedom and future, only the best lawyers will do.<br. The team at Sydney Drug Lawyers specialises exclusively in drug law. Our unparalleled knowledge and experience of drug law, combined with our proven track record of obtaining outstanding results, has earned us the reputation of Sydney’s best drug lawyers. Call us today on (02) 9264 5778 and let us help you win your drug premises case.